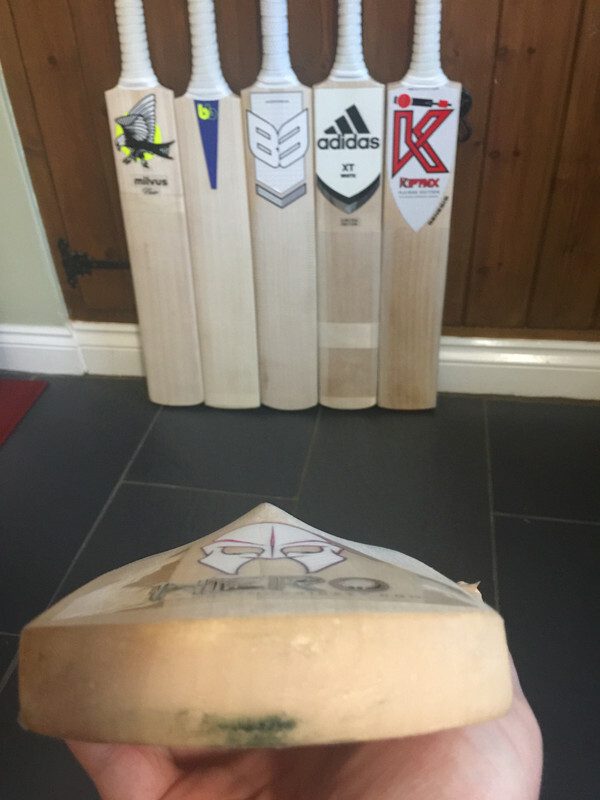 In a bid to stop buying bats I thought I'd review the ones I already have instead. I've whittled down my collection to six bats, the plan had been five but I accidentally added another one, but more of that later. With both my sons being keen cricketers I've sort of had an Indian summer of kit buying late in my own career, vicariously acquiring kit for them whilst not so secretly intending to use it myself. As a younger man I've really not ever been that fussed about my kit - if I could find a decent bat and use my softs till they fall to bits I would be happy, there was always more important things to spend money on for me. However I've discovered I enjoy pottering with bats - I love a bargain and despite being awful at diy I do enjoy a good refurb and the forum has made me experiment with different brands, styles & weights of bats, so here's my current crop for 2019. I do enjoy winter nets and our club has two hours a week at the indoor school in Taunton which means typically 10-15 minutes of batting (60-90 balls maybe?) so I've decided to consciously road test all of my bats ahead of the Spring. Up first a decent grade Jedi Zaramax that has been cleaned up and restickered with Phantom Hero decals. 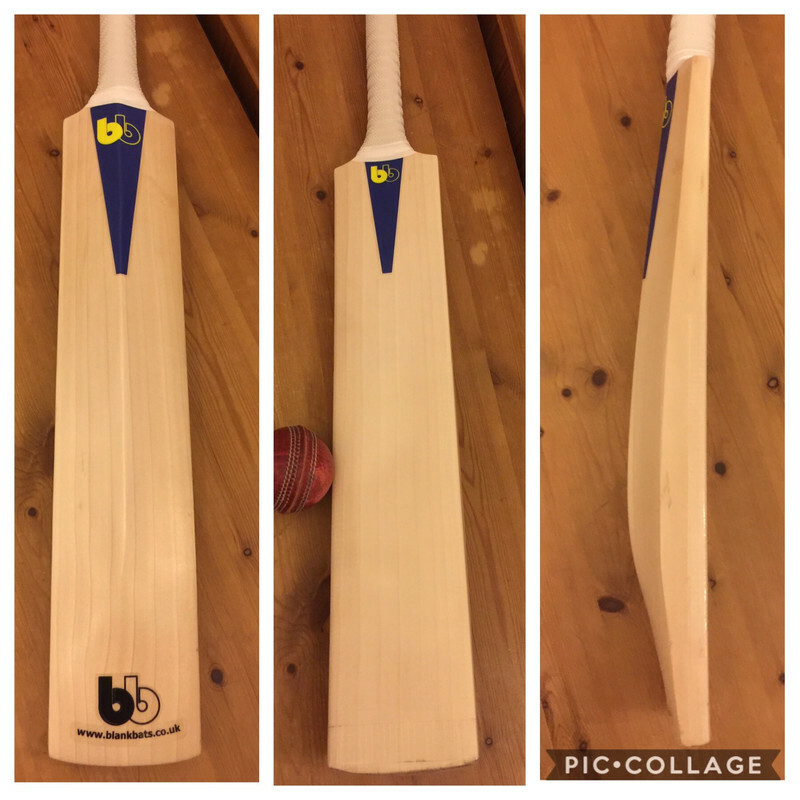 Bought from the forum (Buzz) in his big bat sale for younger son because it's incredibly grainy (18+) and big but really light. I wasn't too sure about the shape at first but it's grown on me as the pick up is lovely and it's very well balanced. The middle starts about 100m from the toe & runs for an impressive 150mm. So I've got a theory that light bats work best at indoor nets, the bounce is higher than most wickets even in August and there's plenty of pace to work with off the surface. Young son hadn't used this himself as he only using his favourite bat and strictly no others (must be adopted) so I took it for a spin this Friday night. Wow - if this is what all high end grainy willow performs like I have totally wasted my bat buying career!!! Now the bit most of us really want... the pics. Thanks for the review, I thoroughly enjoyed reading it and I can't wait for my little ones to grow up so we can share bats. I love buying kit for my daughter. She never really gets the thrill out of it that I do. But, when she gets a new bat so do I. I tell the missus it’s a group discount. 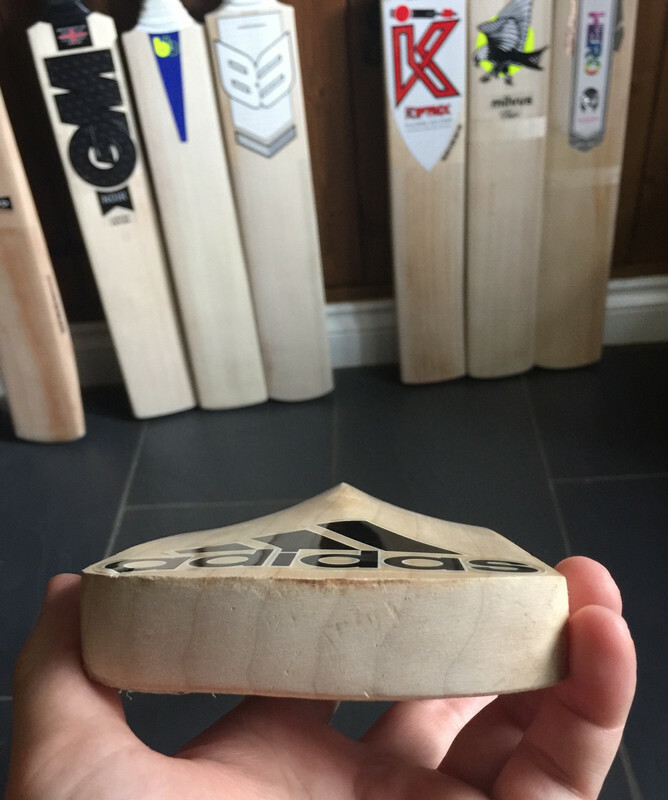 Here’s the 2nd bat I’ve used in winter nets so far an Adidas XT White of unknown grade. I first picked one of these up at end of last year for £40 off eBay and it is incredible - possibly because the handle is about to go, so I’ve been on the look out for a back up. The key to them both was weight - they are both only 2lb 7oz and in no way small. This one was again sourced through the forum (Soulman) and is bang on 2lb 7oz with one grip and a scuff. 8 even straight grains and picks up lighter than the Jedi as the weight is spread further up the bat. Round handle helped by hybrid grip. The eagle-eyed may notice the toe has been modified - due to mistimed drive taking the corner out of the originally square toe. It’s was taken into M&H as I didn’t trust myself to do the job and as always I was very pleased with their work. 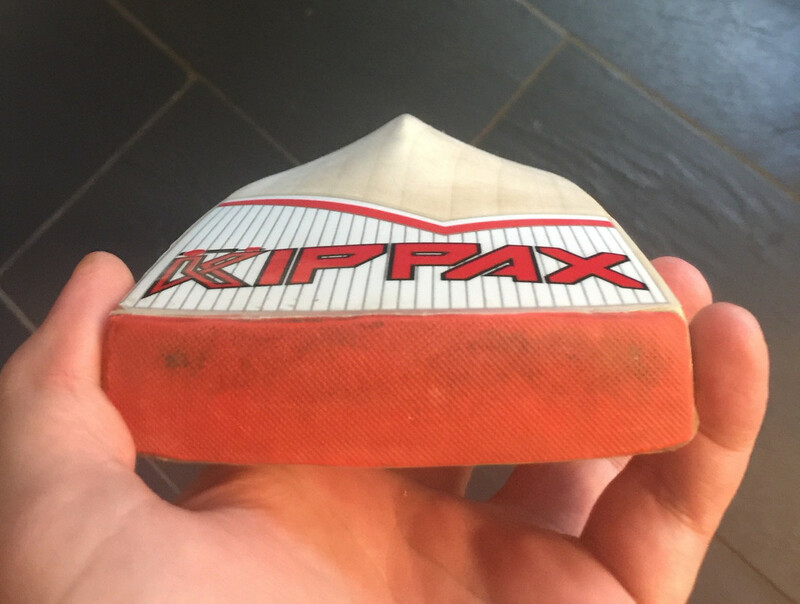 Not as grainy as the bat above but this is my 2nd Adidas XT with outstanding performance - the light weight helps I’m sure But again a big high forgiving middle. It feels soft which might explain the weight and I’m not sure it will last forever but then again I don’t tend to keep bats for years. 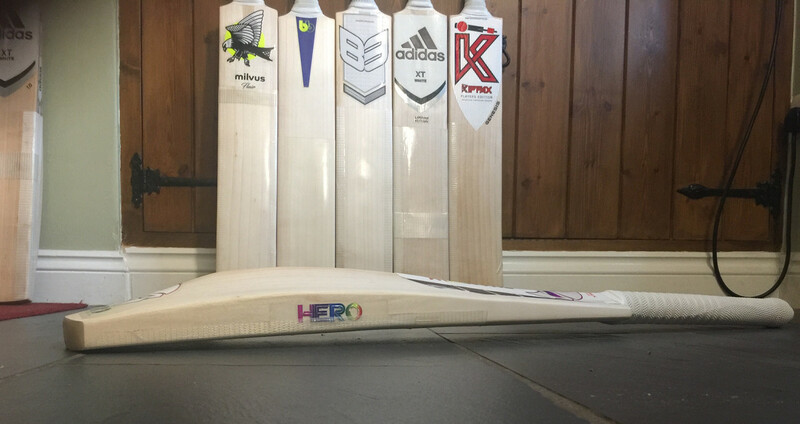 Alongside the GM Signature range the lower end XTs are surely some of the best value of the mainstream bats for looks & performance? One of the younger lads at nets used this instead of his standard 2lb 9.5oz bat - range of shots & timing improved almost immediately... I suspect many of us use bats that are actually too heavy for us, especially indoors. This Friday’s bat was an Ebay bargain I picked up with a view to refurbing and moving on, however it’s come up so nice it’s a keeper. Originally an SS Ton (no idea on model or grade) with a horrid fibreglass scuff. I screwed up the refurb and managed to crack the stickers along the back, so in the end gave it a full clean up. 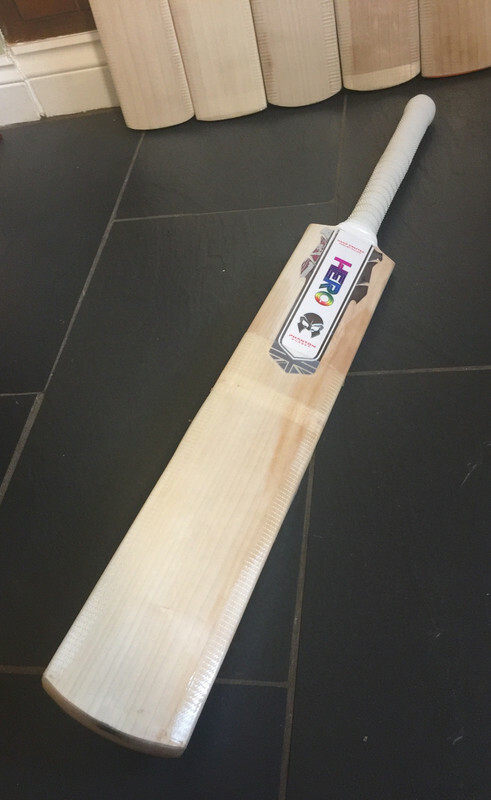 It’s got 40mm edges & 68mm spine - it’s massive but only 2lb 8oz fully dressed with scuff, stickers and single grip. 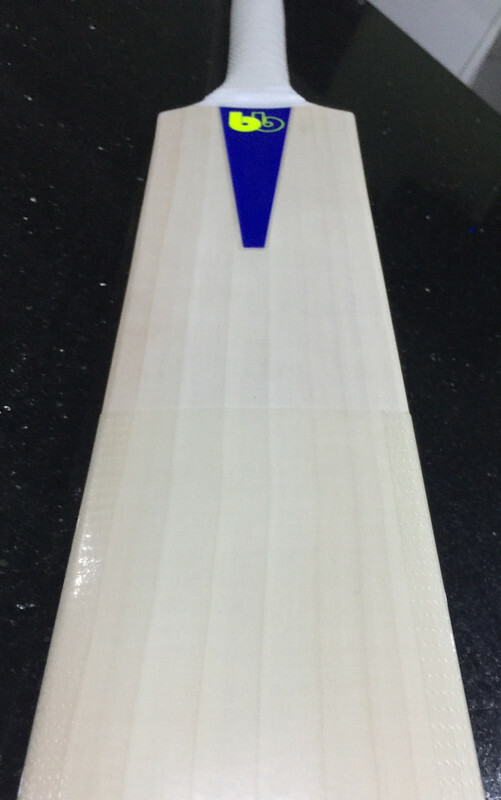 The swell rises about 12mm from the toe and extends 12mm-14mm - it doesn’t feel like a low middle Indian style bat, it’s well balanced and has plenty of performance higher up the blade. It’s a goes really well in the nets. Feels softly pressed. Makes a lovely sound and I’d immediately feel comfortable batting with it in a game. The only downside is that it has a round thin handle - possibly where the weight is saved. I found myself a little bottom handed in nets (more than normal) it’s possibly in my head but it feels a bit easy to choke the bat in my set up. A little more practice with it and a lighter bottom hand grip and there’s some serious runs in this one. I paid nearly as much for the stickers as the bat but damn they suit it well. Unfortunately this reviewing of bats has not stopped me buying more... at least I sold two this week. It’s a short blade long handle Kippax made that I picked up blank and it’s at the top end of my weight range so I went with the lighter (and best looking) stickers I had. I’ve no idea what Joe Roots bat truly looks like in the flesh but in my head this is a lookalike - someone can happily correct me. It’s tough to review. Firstly the net bowling was at best mixed early on, I didn’t bat well, I was trying to hit the ball too early and too hard. Up the upside it screams out of the middle. And it’s every bit as good as I hoped it would be.... here’s the kicker. I’m convincing myself that heavier is better outdoors and I’m being swayed by Taunton’s bouncy indoor nets. Ty2lo, it's different indoors, you'll definitely have much better use of it outdoors, use a thinner grip, 2.10lb isn't heavy, not even for you  it's in the mind, it will be fine once you've made up your mind to use this Bat. I've felt this winter that in the nets it's a bit harder to use a heavier bat when dealing with the quicks, as the ball bounces a bit higher and comes on a bit faster. Agreed about middle position & indoor bounce - ideally I like 2.8 high middle bat... only two weeks until outside batting cage sessions, that’s going finally make my mind up. Page created in 0.45 seconds with 39 queries.